As a pet owner there are lots of things to consider about looking after your dog like feeding, grooming and walking, but there are some you may not have even thought of. Here is a list of 8 essential bits of information relating to your pet that you may not have considered. Vaccination records – it is important that you keep your pet up to date with vaccinations and your vet can advise you about this. Make sure that you keep your pets vaccination record to hand as it may need to be seen by pet professionals such as groomers, day care providers and kennels. A recent photo of you and your pet – if your pet becomes lost, you may need to provide proof of ownership and what better way than a picture of you together? From April 2016 it will be a legal requirement that dogs are microchipped. Microchipping helps get pets and owners reunited, BUT you must keep your details up to date and remember to write down the chip number in case you need it later. Your will – while no one wants to think about this, it is important to ensure that your wishes for the care of your pet are known, should something unfortunate happen. A legal advisor can tell you what you need to do. Important contacts – ensure you keep the phone number, address and out of hours contacts for your vet to hand. Also have the number of a pet friendly taxi company should you need them. Remember that sometimes you may go out for a walk with nothing but your mobile so make sure your contacts are on there too. 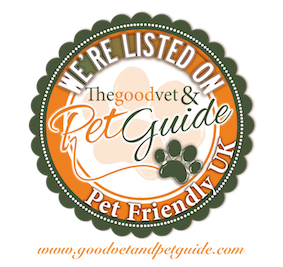 Pet passport – if you choose to take your pet abroad with you, they will need a passport. Make sure that everything is up to date well in advance of your planned trip as, depending on the country, it can take months to get the necessary paperwork and medical treatment for your trip. 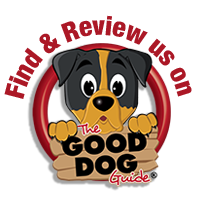 Medical history – if your dog has a medical condition keep information about this to hand. Also, if your pet is on medication, keep details of what meds they are on and what the dose rate is. Disaster evacuation plan – another one no one wants to think about but planning in advance can save stress at the time. You could keep a small bag with essential pet items such as a lead, a bottle of water and some kibble biscuits near to your exit routes so that if you need to move quickly you can.